AR101 is a peanut-based immunotherapy that is being developed to treat peanut allergies. 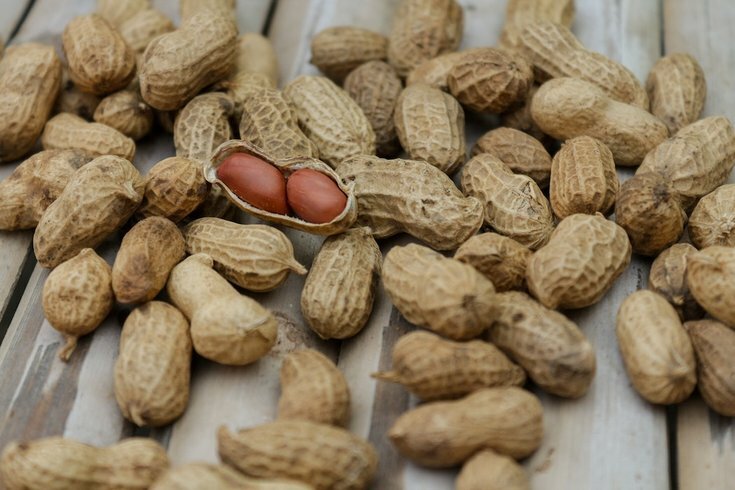 Researchers are very close to perfecting a peanut allergy treatment drug for those at risk for unpredictable and occasionally life-threatening allergic reactions, it was announced Sunday. This drug would be the first of its kind as there are no approved treatment options made specifically to combat peanut allergies — a dangerous food allergy many Americans face. The study, published in the New England Journal of Medicine, reports that clinical trials helped discover a drug treatment that can protect some children against accidental exposure or ingestion of small amount of peanuts or peanut products. To test the experimental therapy, 66 research centers in 10 countries recruited 554 participants ranging in age from 4 to 55 and who all had a peanut allergy. Of that number, 496 of the participants were between the ages of 4 and 17, CNN reports. Researchers gave patients a roughly 100 mg capsule filled with peanut butter powder—about one-third of a peanut kernel. If participants had an allergic reaction to the challenge dose, they were randomly assigned to receive either AR101 — the peanut-derived investigational biologic oral immunotherapy drug — or a placebo in an escalating-dose program, the study states. Yes, this treatment actually involves giving patients a dose of what their allergic to treat the allergy. Two-thirds of the study participants were given AR101 in increasing amounts every two weeks until reaching maintenance, at which time they received the equivalent of one peanut daily. The remainder of the participants were given a placebo. At the conclusion of the year long study all of the participants faced an "exit food challenge": They ate, under a doctor's supervision, the equivalent of two peanuts. Two-thirds of the treatment participants were able to tolerate this exit dose without a severe reaction. Half were able to handle twice that amount: a four-peanut dose, CNN reports. It’s worth noting that about 11 percent of children in the experiment dropped out due to severe side effects. Ten percent of kids who were treated had to receive an emergency shot of epinephrine, compared to 53 percent of those who took a placebo, the New York Post reports. While AR101 proved effective only on children in the clinical trial, Vickery believes it would likely benefit adults in the same way. A California-based biopharmaceutical company, Aimmune Therapeutics, has announced it will apply to the Food and Drug Administration for approval for the new drug in December. If things go as planned, AR101 could hit the market by the end of 2019, a spokeswoman told the New York Times.